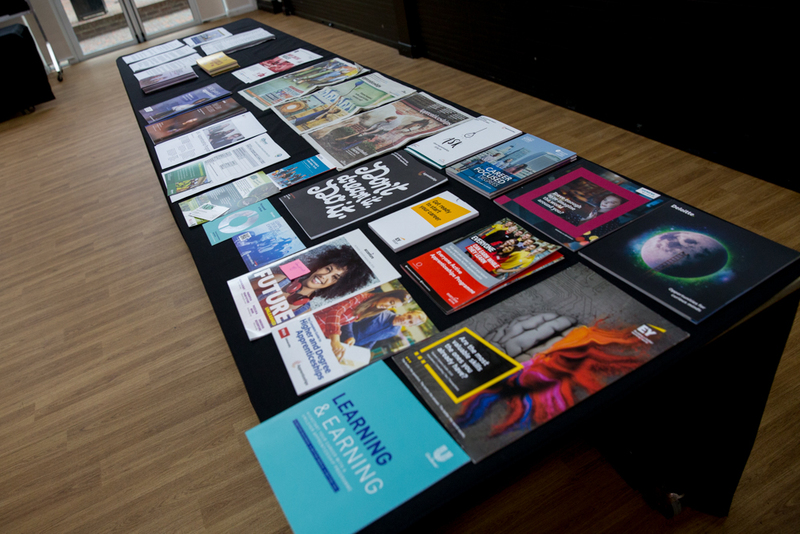 With the increased uncertainty around Brexit, employability and student debt, the Careers Department wanted to help clarify for parents and pupils the advantages and disadvantages of studying for a traditional university degree compared to a degree apprenticeship – and how to access the different routes available. 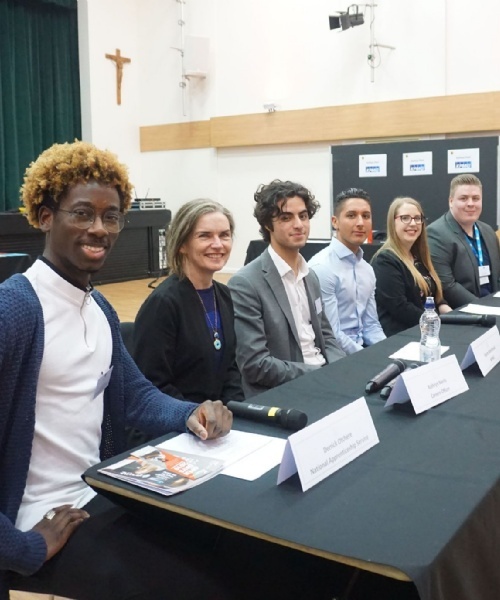 We welcomed 5 very different providers: the University of Nottingham (Russell group); Aston University (a major education partner and pioneer in apprenticeship degrees); Cap Gemini, KPMG and the National Apprenticeship Service. The evening began with an overview from the Head of Careers, Mrs Hopgood, of how economic conditions and uncertainty will affect education providers as well as education consumers, and what this might mean for the future of social science and arts degrees as well as the growth of degree apprenticeships. The University of Nottingham made the case for time wholly dedicated to higher education – opportunities for personal exploration and development, the development of specific skills and access to particular career routes. Nottingham highlighted that particular careers simply require a degree (for instance, law) and progression can be faster by acquiring the qualification and moving on to the postgraduate element of training. Similarly medical students need to require a bedrock of knowledge before they can be expected to participate in patient care. By contrast, Aston University described apprenticeship degrees as the best of both worlds: a real university on campus experience for part of the year, being taught the same modules in the degree as full time students, at the same time developing transferrable work place skills. No debt and a real salary compensated for the fact the degree would take a little longer to earn. This presentation (and others) emphasised that the placement has to be secured from the employer first: the successful applicant then applies for the degree course through the employer’s degree partner. Applying for a degree apprenticeship is therefore more like applying for a job than applying for a university course: time consuming, with a multi-stage screening and recruitment process. UCAS provides a very efficient means to search for and identify universities and courses; however apprenticeship degrees are listed in a very disaggregated fashion, so there is more onus on the student to find and secure these. Pupils need to be really sure they are interested in the employment and associated degree (students dropping out of the apprenticeship degree course may find themselves both out of a job and needing to pay back tuition fees to their employer). Of course, the advice to thoroughly research opportunities also applies to traditional universities and degrees courses too. Cap Gemini emphasised the growth in technology-based consulting and cybersecurity and presented on degree apprenticeships and non-degree 18+ apprenticeship routes with a presentation that emphasised the employer perspective. A salary being paid to an apprentice means the provider expects a work place contribution: a real job with a real salary means real responsibilities as well as opportunities, with a return on investment required from the beginning of the apprenticeship. Places for the very best apprenticeships are highly competitive and the recruitment process is as much about identifying the appropriate personal competencies as it is about identifying academic ability. Degree apprenticeships will not suit pupils who struggle to get into school on time or to balance their studies with other commitments. Although the benefits of a ‘No Fee Degree’ are very attractive, pupils will need to be hardworking employees and hardworking students to make the grade. From KPMG, we had the positive view point of a recently recruited degree apprentice (ex-Millfield, June 2018). Derrick Otchere, of the National Apprenticeship Service, also gave an overview of the benefits of ‘on the job’ learning: the ability to practically apply theoretical learning from the outset; the growth in personal confidence; the ability to gain a careers headstart against former class mates in full time education who were not yet developing the same range of personal skills. The evening concluded with questions from the audience and the opportunity to talk to the various representatives. St Benedicts and the Careers Department would like to thank all the providers who took part in this very successful and informative evening.